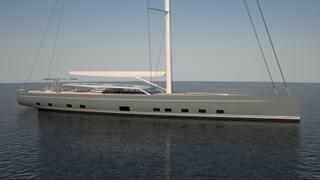 Construction has begun on Baltic Yachts' 44.6 metre custom designed sailing superyacht, the Baltic 146. 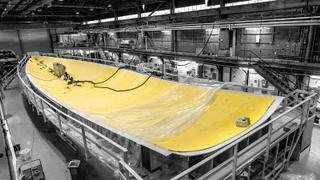 The Finnish yard has released photos of the in-build yacht in the first stages of construction. It comes after Baltic announced it had received the order for the Baltic 146 in November last year. When complete, the sailing superyacht will be equipped with a lifting keel, reducing the draught to 3.4 metres. 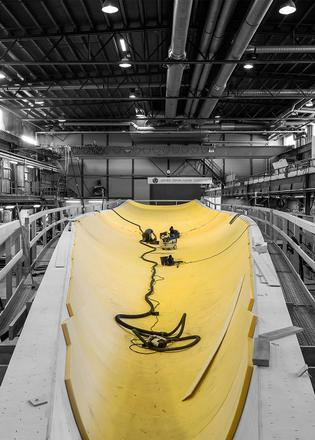 Sporting naval architecture and interior design by the Judel/Vrolijk & Co design studio, the yacht will have a 9.35 metre beam and will be built in advanced composites. Key on-deck features include a solid bimini extending from the large deck saloon, and another bimini shading the two sheering positions. The yacht will also be equipped with twin rudders, a tender well on the foredeck, fold-over anchor system and 550hp main engine. Accommodation will be for eight guests in an owner’s double cabin and three further double guest cabins. Seven crew will be accommodated in four aft cabins. Sebastien Allebrodt of A2B Maritime Consultants will project manage the build on behalf of the owner with the yacht scheduled for a mid-summer 2021 delivery. Other projects currently underway at the Finnish yard include the Baltic 112 Custom sailing yacht Liara, which is due for delivery in summer 2019.